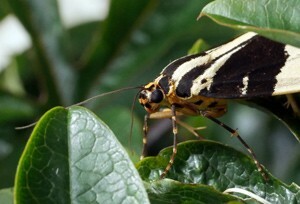 You are here: Home > Blog > Flora & Fauna > Changing moth populations. Many of the 'headlines' in newspapers etc. speak about the loss of particular species (e.g. elephants, rhinos) and whilst these are important animals and the reduction in number of any species is a cause for concern, they are not necessarily good indicators of the threats to the millions of species that seemingly pass unnoticed. In terms of sheer abundance and, indeed, diversity of form - the arthropods, and particularly the insects are unsurpassed. In order to know what is happening to our wildlife in general, it is a good idea to take a close look at what is happening to insect populations / species. Fortunately, this is possible as since Victorian times, collectors and naturalists (such as James Cosmo Melvill and Frederick Haines) have studied and recorded spiders, beetles, butterflies and moths (Lepidoptera) in great details. The Butterfly Conservation’s national moth recording scheme still makes use of many gifted amateur observers, and it offers a wonderfully detailed dataset. Researchers at Centre for Ecology and Hydrology, Butterfly Conservation and the University of York have analysed the available records of some 600 + larger moth species- (taking account of some 11 million sightings) that were made between 1970 and 2010. Larger moths species (on the whole) have declined over this period. 260 species showed significant declines, whereas on 160 had increased noticeably. The species that showed decline were often from northern (colder) areas of the UK - this might be associated with the ‘warming’ of such areas. Species associated with southern regions (which might be expected to benefit from a warming climate) showed a variety of trends, with a mixture of increasing and decreasing species. Southern species have to ‘deal’ with more intensively managed agricultural areas and greater habitat fragmentation when compared with “The North”. Moths with a widespread distribution (found across the UK, north and south) decreased on average BUT when analysed in some detail - it was apparent most had declined only in the south - with no clear change in the North. This might again be associated the loss of habitat, (hedgerows), use of pesticides and intensification of agriculture in the South. 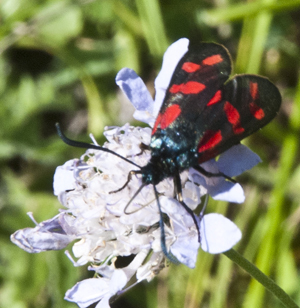 Moths associated with taller vegetation (and fertile conditions) - such as those who rely on nettles, tended to increase over the period investigated. Nettles and similar ruderal species ‘do well’ with increasing eutrophication / nitrogen pollution (which is associated with the intensive use of fertilisers and vehicle emissions). Moth species associated with low fertility grassland were more likely to be in decline. all will help moth and other insect / arthropod populations; especially in areas where intensive agriculture is dominant. Insect migration, the windscreen phenomenon and declining populations.